DEETER BUCKNER DESIGN, LLC: A New Gem!! A New Water-wise Garden Design for a Residence on the Bay Front in Coronado! A New Gem!! 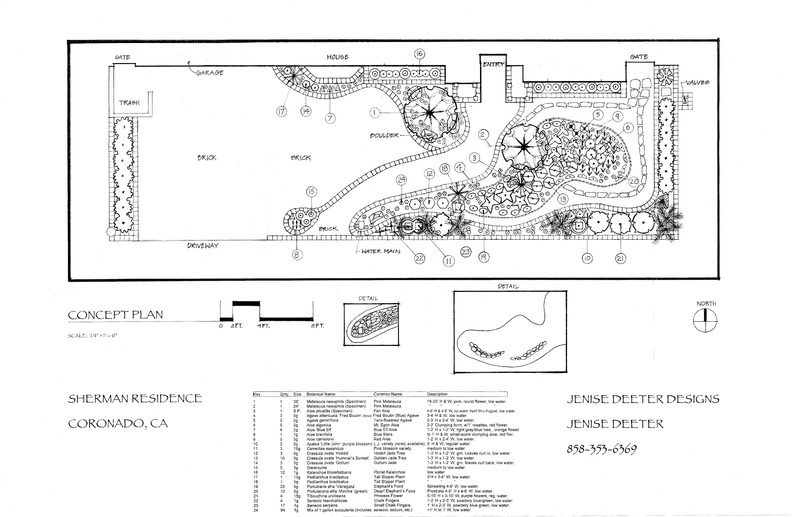 A New Water-wise Garden Design for a Residence on the Bay Front in Coronado! I'm very excited about this new design project! It's truly going to be a 'gem' of a sustainable, water-wise garden located in Coronado on the bay. My collaborator, Michael Buckner and his fabulous team will be installing the garden. The 'before' and 'after' photos should prove to be incredible. Can hardly wait for the work to begin! The home owner is as wonderful and unique as this one of a kind residence. It has the most amazing view of downtown San Diego from the back garden area!! Lovely, lovely project!